After waiting for 10 long years, Star Wars fans are finally able to watch the seventh installment in the Star Wars series, The Force Awakens. All the hype has us thinking: Have you ever thought about how many similarities there are between a Jedi Master and a Divemaster? 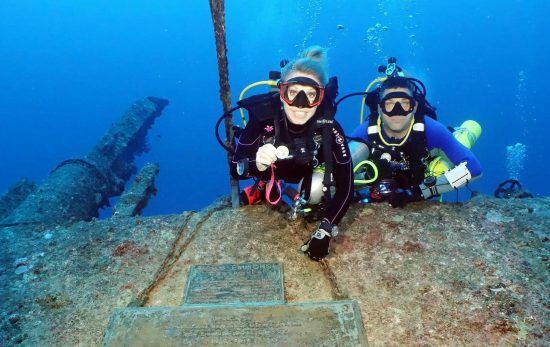 Both Jedi Masters and Divemasters help train the next generation of younglings. A Jedi Master is known for his or her wisdom and mastery of The Force. A Jedi teacher helps his or her students strengthen their weaknesses so they don’t fall prey to the Dark Side. While a Jedi Master passes on knowledge about politics, lightsaber combat, and other sciences, a PADI Divemaster (DM) plans and supervises diving activities, helps with training new divers, and has mastered diving physics. They are both masters of their craft. A Jedi Master is the highest formal rank reachable by members of the Jedi Order. 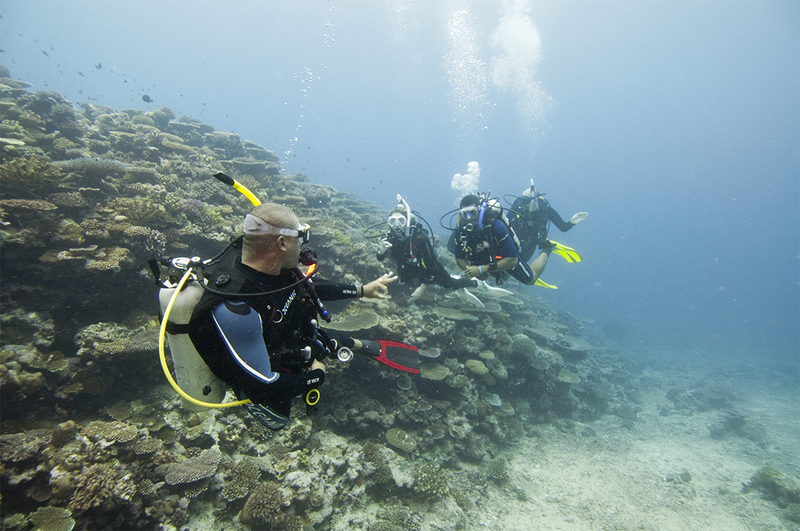 A Divemaster is the first level of becoming a dive professional. Both show extraordinary dedication and skill in their craft. A Jedi Master is eligible to sit on the Jedi High Council, and a DM is qualified to enroll in the PADI Instructor course. A Jedi Knight brings balance to the Force, and a DM brings balance to new divers underwater. Anakin Skywalker was the Chosen One who brought balance to The Force by killing The Emperor. 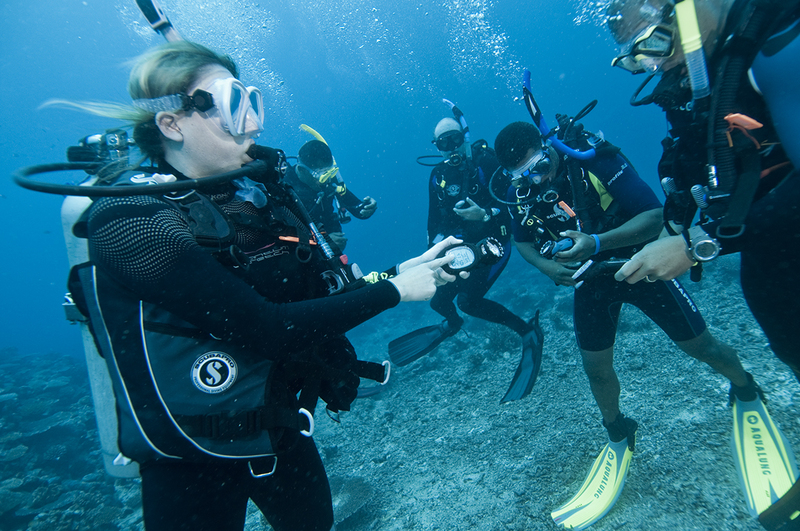 Divemasters bring balance to divers by teaching portions of the PADI Peak Performance Buoyancy Course. Bestowing balance to scuba divers makes the sport more enjoyable and keeps us from damaging a delicate underwater world. They both set good examples and are guardians of their realms. 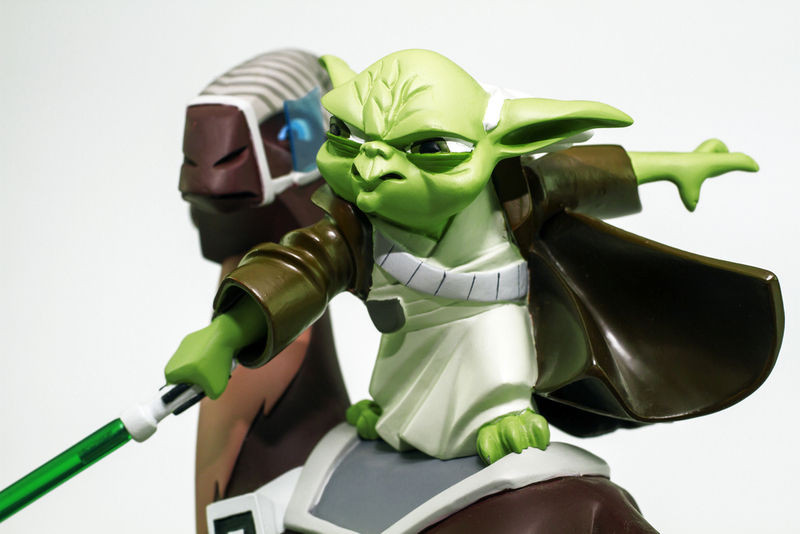 The Jedi Master is a guardian of peace and justice that inspires all the citizens of the galaxy. Divemasters are a guardian of the ocean and help divers use The Force of excellent diving. 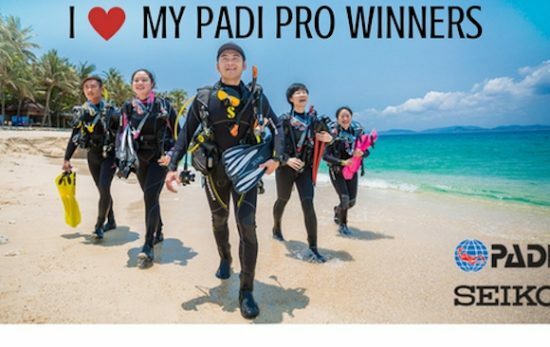 A PADI Divemaster has honed his or her diving skills and sets an example of good diving skills for other divers. They have to pass trials to achieve their ranking. The Jedi Trials are administered by the Jedi High Council. Jedis have to pass courage, spirit, and insight tests. The Divemaster course will access things like rescue skills, water skills, and professional criteria. As you can see, becoming a Divemaster has many things in common with becoming a Jedi Master. As Yoda would say: Ready for the challenge are you? Become a divemaster, you should. Your local PADI dive center, contact for the Divemaster course. 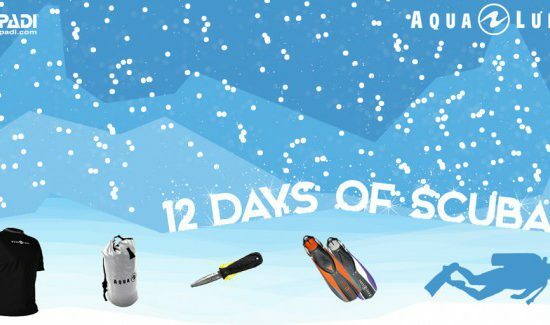 12 Days of Scuba: The Winners Are Announced!